Which leagues are the main suppliers of players at the World Cup? 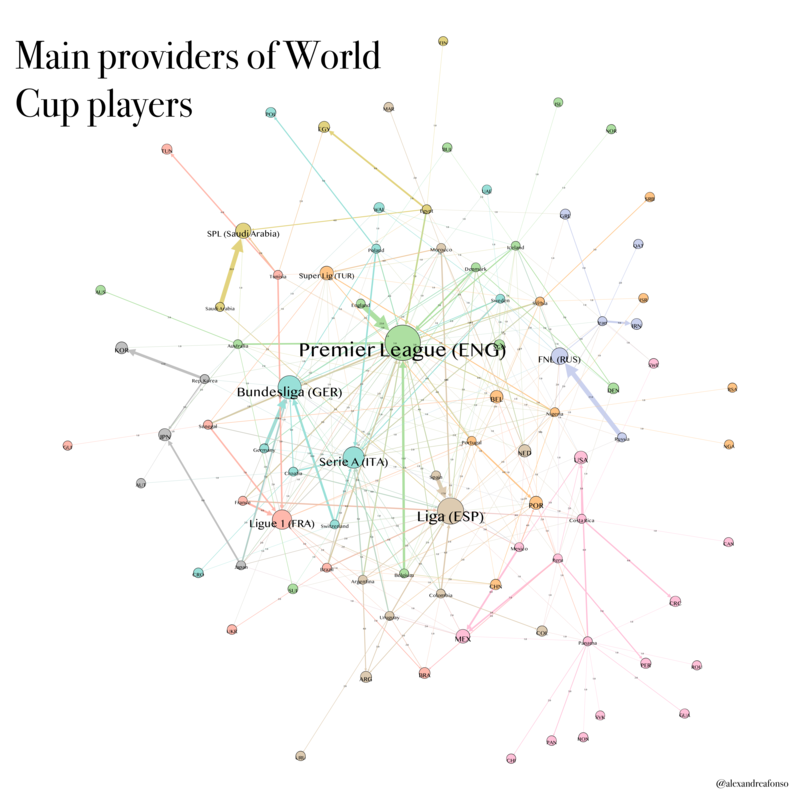 The graph above represents a network of countries qualified for the World Cup 2018 and football leagues where players play. To draw it, I have used the official list of the 738 players qualified, and used it to draw a two-mode network where the countries they play for are the source, and the leagues where they play are the targets. Nodes are sized by the total number of players playing in each league, and each arrow indicates the number of players from each country playing in each league (you can click to get a bigger version). Not that many surprises here: The English premier League is the largest supplier with 124 players (almost 17 percent of all players! ), followed by the Spanish Liga (81), the Bundesliga (67) and the Serie A (58, in spite of the fact that Italy is not qualified). This entry was posted in Uncategorized on June 17, 2018 by alexandre afonso.